Former Yankees shortstop Derek Jeter and his model wife, Hannah Jeter, have grown their family by one. On Thursday, Jan. 31, 2019, Derek's website, The Players' Tribune, announced on Twitter that the celebrity couple had welcomed their second child — a baby girl named Story Grey. "Congratulations Derek and Hannah on the birth of your second baby girl, Story Grey Jeter," the tweet read. "Welcome to the family, #2." While neither Derek nor Hannah confirmed that they were expecting to the public, as noted by Us Weekly, Hannah was spotted with a baby bump while out in September 2018, and sources confirmed news of Hannah's pregnancy to media outlets at the time (via Us Weekly). Besides baby Story, Derek, 44, and Hannah, 28, are also parents to 17-month-old daughter Bella, whom they welcomed in August 2017 (via E! News). While announcing their first pregnancy in February 2017, Hannah shared that she and her husband want to give their future children "normal" lives. "They're going to be born into such an extraordinary situation. They're going to have to be some strong little people," she wrote in a post on The Players' Tribune. "We don't want them to be defined by their dad's name — for them, we want him to just be 'Dad.' That will be the piece of him they'll have that the rest of the world doesn't. It will be special, and it will be theirs." Hannah further noted that she and her husband want their kids to "understand that the lives they've been given are so fortunate, in so many ways," adding that they hope their children "learn to help others, and to care for others, and to give back to the world." Prior to growing their family, Derek and Hannah married in July 2016, as reported by Us Weekly. 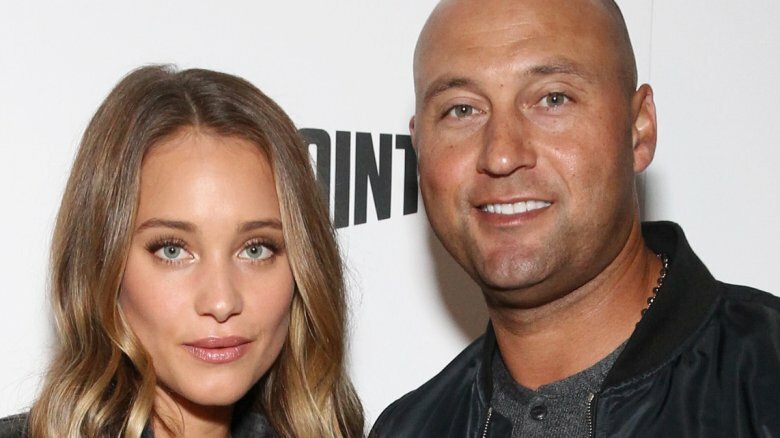 Congratulations to Derek and Hannah Jeter on the birth of daughter Story!